When a troubled supermodel falls to her death from the balcony of her London home, it is assumed that she has committed suicide. However, her brother has his doubts and calls in private detective Cormoran Strike to investigate. Strike is a war veteran--wounded both physically and psychologically--and his private life is in disarray. The case gives him a financial lifeline, but it comes at a personal cost: the more he delves into the young model's world, the darker things get and the closer he comes to terrible danger. 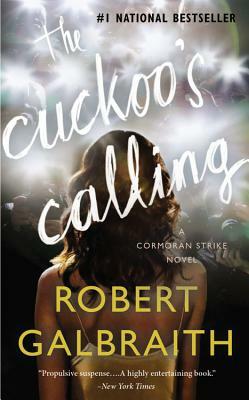 Published to huge acclaim from readers, reviewers, and writers everywhere, The Cuckoo's Calling is a compulsively readable crime novel, the first in a series featuring private detective Cormoran Strike. Robert Galbraith is a pseudonym for J.K. Rowling, author of the Harry Potter series and The Casual Vacancy. Cormoran Strike returns in Galbraith's second novel, The Silkworm.